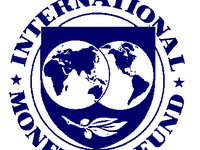 The International Monetary Fund (IMF) executive board meeting to discuss the Article IV Consultation and the ex-post evaluation is scheduled for December 16, 2013, according to a posting on the Web site of the fund. According to the report, the board will also discuss the ex-post evaluation of the 2010 Stand-by Arrangement (SBA). The issues of new projects for Ukraine are not included in the agenda of the meeting. As reported, an IMF mission was in Kyiv from November 18-19 to hold discussions on the ex-post evaluation of the 2010 Stand-by Arrangement (SBA), Director of the IMF Communications Department Gerry Rice said in late November. "Further technical consultations between the staff and the authorities are continuing, with a view to ensuring that policies are sufficiently ambitious to address Ukraine's challenges," he said. He said that the previous staff mission visited Kyiv in the second half of October for the 2013 Article IV Consultation, and additionally the first post-program monitoring review. "The Article IV mission emphasized the need for significant progress in all of the key policy area," he said. Ukrainian Premier Mykola Azarov said the extremely harsh conditions of the IMF loan had been the last argument in favor of the Ukrainian government's decision to suspend preparations for signing the Association Agreement. The conditions were stipulated in a letter presented by the IMF on November 20, 2013, after an extraordinary two-day visit of its mission. "The terms are an increase of gas and heating tariffs for households by approximately 40%, a commitment of freezing basic, minimal and net salaries on the current level, a significant reduction of budget expenditures, the lowering of energy subsidies, and the gradual curtailment of VAT exemption benefits for agriculture and other sectors," the prime minister said. Other government officials said they had expected that the EU would have influenced the fund, which would have eased the conditions and thus compensated Ukraine's losses from pressure by Russia. The IMF said that the fund is ready to consider the possibility of a gradual increase in the gas and heat tariffs and the compensation of the increase in the tariffs to poor people.